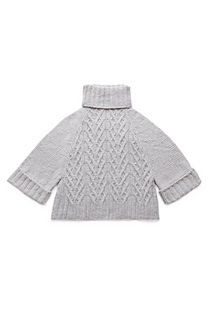 For effortless cozy style, look no further than this A-line turtleneck with dramatic kimono sleeves. 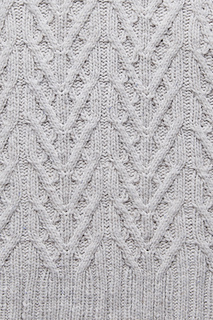 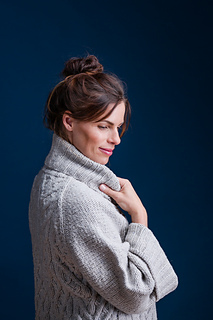 Auster features attractive branching cables layered over a tracery of diamonds; the sleeves are worked in reverse stockinette. 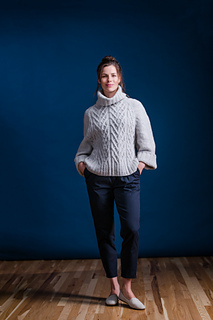 An extra deep raglan shoulder draws the eye upward and creates a tidy fit at the shoulders to balance the width of the double-ribbed hem. 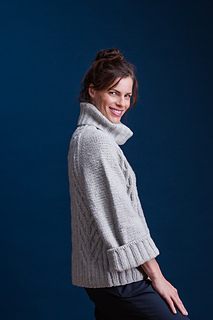 Worked in Quarry, this poncho-style pullover will knit up quickly and pair well with slim trousers.